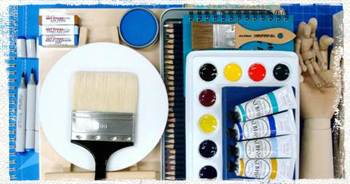 At The Paint Spot we share your love of creativity! In fact, since 1985, our proudly Canadian, artist-run visual art centre has been dedicated to enabling artists, from beginners to professionals, to realize their artistic vision. We strive to maintain our reputation for innovation, for giving the best service, and for fostering the creative community by offering great products, sharing our know-how, and providing a showcase for your art. Click here to go to Paint Spot's website! Save 10% on materials to inspire creativity. Show your iRedeem card to receive a 10% discount on creative design materials. Cannot be combined with any other promotional offer. No cash value. Save 20% on materials to inspire creativity. Visit The Paint Spot in person. 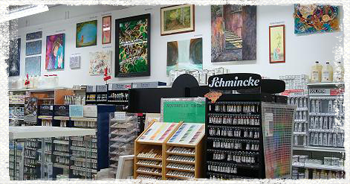 It’s the most pleasurable way to select your art supplies. While you are here, check out our sales and galleries, learn about upcoming workshops and classes, discover new materials and new uses for familiar ones. Activate your creativity! We are working artists, ourselves, and are pleased to share our excitement and our accumulated knowledge about the art materials we offer. Bring your questions to us, or consult our Advice Library. And please, share your findings and enthusiasms, too. We are always learning, and we’re always interested in products and techniques that are new to us. If it’s more convenient for you, shopping online is easy and secure. Responding to requests from our local community in Edmonton, The Paint Spot has long offered art classes and fine art workshops highlighting tools, materials and techniques. In our dedicated space, The Studio, adolescent and adult students can explore mediums and methods, refreshing their understanding and making new discoveries. 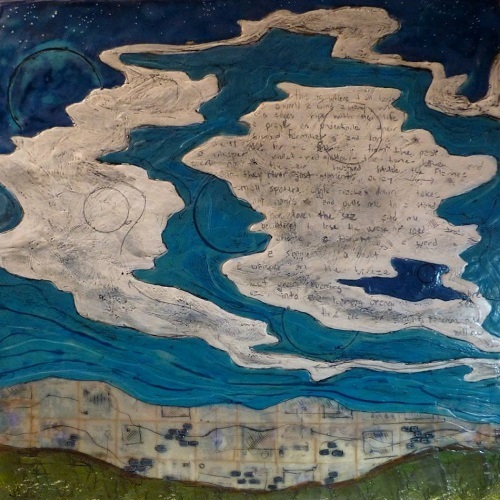 Some classes are designed with a specific goal in mind, so that students will take home a finished object (a sculpture, a print or a painting, perhaps). 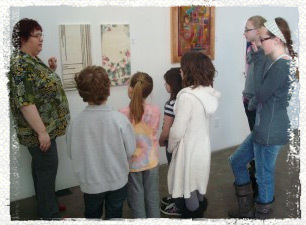 Others aim at giving students fresh insights into their own creative practice. Instructors are well qualified in their fields, and safe studio practices are always emphasized. 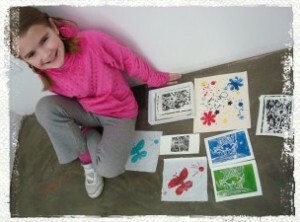 The Studio is also available to artists and art groups pursuing their own practices; for example, some evenings offer access to The Paint Spot’s printmaking equipment. The Paint Spot has a special commitment to art teachers. School discounts are generous, large school orders are promptly filled. Check out our Schools Catalogue for detailed information about products that can be used by students, as well as price lists and ordering information. Equally important is our dedication to helping teachers nurture their students’ creativity which has led to the compilation of Teachers Projects. Low budget, easily organized and fun, these projects are suitable for every grade, each one engaging students in hands-on learning experiences in visual art. The Paint Spot features three exhibition spaces for displaying artworks from our visual arts community. The largest, the Naess Gallery, is named in honour of our founder Sidsel Naess Bradley. Sidsel recognized a need for exhibition spaces that encourage the exploration of artistic ideas and innovative processes. We are proud of this heritage and its contribution to the development of many artists. We continue to encourage artists to submit installation and show proposals that push materials, techniques, subject matter and concepts. Vertical Space is a display area above our retail space. Several themed competitions per year are shown here. The space also represents a great opportunity for school programs to show students’ works, or for clubs and groups to curate exhibitions of their members’art. The Artisan Nook is a small space that showcases handcrafted objects and functional but artistically made objects – small sculptures or painted silk scarves, for example. The Paint Spot’s commitment to art and community could not be better shown than through its ongoing dedication to the Whyte Avenue Art Walk. Every summer the Art Walk paints the town red- and every other colour- in the heart of Old Strathcona, with hundreds of artists taking their work to the streets in a celebration of visual culture. 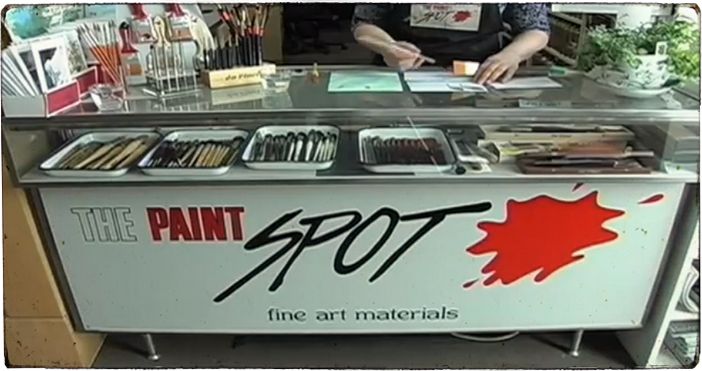 This brilliant event has been administered, sponsored, and supported by The Paint Spot since 1995. The Paint Spot – independent, innovative, creative and dynamic – at your service since 1985.